Bulgarian environmentalists are going to resettle eight griffin vultures as part of a project to restore the population of the birds of prey. The eight new griffin vultures will be resettled in the Blue Stones Natural Park near the eastern city of Sliven. They are the second group of vultures “imported” from Spain as about a month ago a total of 31 birds were transported from Palma de Mallorca to the Wild Animals Protection Center in Stara Zagora, which is in the same region as Sliven. After a quarantine period and several months in a special facility for adaptation, the griffin vultures will be released in the wilderness. Each of them will be marked with special rings. The project for the resettlement of the griffin vultures in Bulgaria is realized by the Zeleni Balkani, i.e. “Green Balkans”, NGO and is funded under the EC program LIFE+. 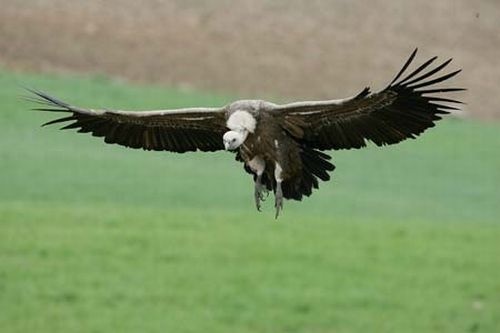 The birds have been provided by the Foundation for Vulture Protection and the zoo in Jerez, Spain.